Self-collapse lithography; molecular chips; select dep blog. The University of California at Los Angeles (UCLA) has developed a technology called self-collapse lithography. The technology, reported in the journal Nano Letters, resembles the combination of nanoimprint, selective removal and a chemical lift-off process. More specifically, though, the technology provides insights into patterning using a chemical lift-off lithography technique. In the flow, researchers first devised a substrate. The substrate is patterned with conventional lithography techniques at feature sizes blow 30nm, according to UCLA. Then, a chemical composition is applied on the substrate. The chemical composition self assembles into a pattern formed by the original lithographic technique. This is called a self-assembled monolayer (SAM) process. Following those events, an elastomeric stamp is applied to the SAM layer. The stamp is based on a polydimethylsiloxane (PDMS) material. The roof of the stamp collapses on the surface, according to UCLA. Then, the stamp is raised, which, in turn, selectively removes various SAM molecules on the surface. This is sometimes called a chemical lift-off process. 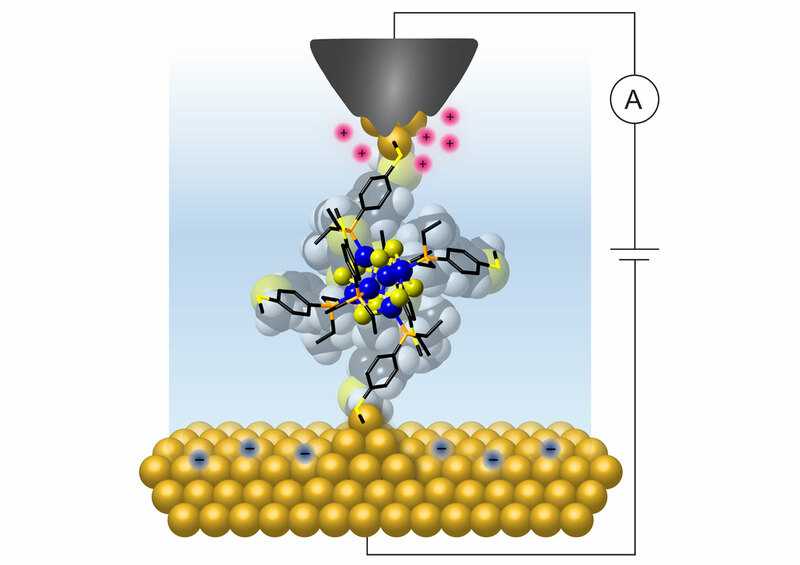 Columbia University has made a breakthrough in the field of molecular electronics. Using a scanning tunneling microscope (STM) technique, researchers have deposited and formed a single cluster of geometrically ordered atoms. The cluster is made up of 14 atoms, which has a diameter of about 0.5nm. Then, they wired the core atoms to two gold electrodes. This enabled researchers to characterize its electrical response by applying a voltage on the structure. A group has launched a new blog that provides the latest research into the world of atomic-level processing for IC manufacturing. The site, called Atomic Limits, provides the latest on selective deposition, atomic layer etch (ALE) and other subjects. In one of its latest postings, the site reported the latest finding from the recent 2nd Area Selective Deposition workshop (ASD2017).